The commissioning ceremony for the vessels was held on 23rd January 2019 at DCCG’s Station Aruba in the district of Savaneta on Aruba’s southeast coast. The ceremony was attended by officials from the Aruban Government, DCCG, Dutch Ministry of Defence, and Metal Shark, including local and regional media outlets. With that four new Metal Shark patrol boats the Dutch Ministry of Defence will enhance its capabilities across the Caribbean. 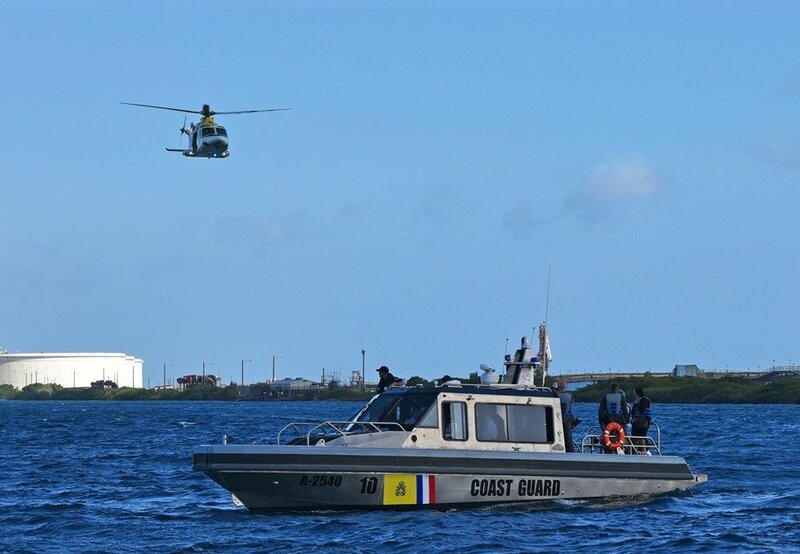 Now the total number of the Metal Shark patrol boats, operated by the DCCG within the territorial waters of Aruba, Bonaire, Curaçao, Saba, St. Eustatius, and St. Maarten, becomes twelve. The latest 4 boats manufactured for the Dutch Caribbean Coast Guard, which are already en route to St. Maarten for entering service after activation and crew instruction by a Metal Shark training team, were developed in-house by Metal Shark and built at the production facility of the company in Jeanerette. The vessels are 38-foot Defiant-class welded aluminum monohull patrol boats powered by twin Cummins Marine QSB6.7 diesel engines coupled with counter-rotating dual-prop stern drives. The highest speeds reached by the vessels exceed 45 knots. Metal Shark is a company, designing and building welded aluminum and steel vessels from 16’ to over 300’ for defense, law enforcement, and commercial customers. It operates three fully self-contained shipbuilding facilities in Alabama and Louisiana. It was established as Gravois Aluminum Boats in 1986 for building primarily small recreational vessels. In 2005, when sales decreased, Gravois incorporated Metal Shark aiming at attracting governmental and commercial customers.